Lahore: EcoStar is a nationwide brand of electronics which defines technological excellence in terms of its products. 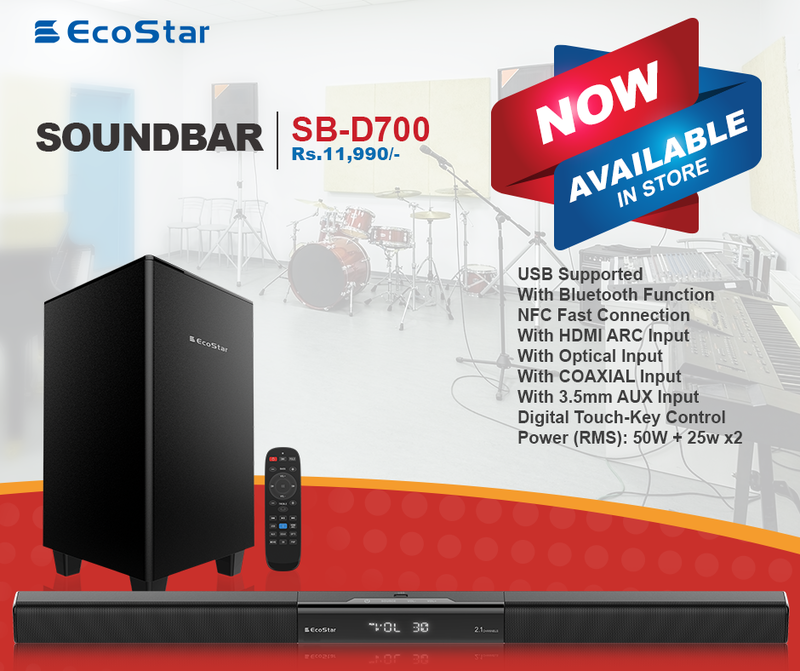 EcoStar recently launched its flagship Sound Bar Systems, having stylish sleek design and exceptional sound quality; truly letting customers experience the cinematic audio performance. EcoStar Sound Bars are an exceptional range of speakers systems and woofers, having sleek built design, tremendous sound quality and a top-quality bass; making your home a personal theatre, whereby giving you the cinema experience. So never miss a beat with EcoStar’s pristine sound quality systems. The SB-D600 is a USB/TF supported, 3.5mm AUX input and Bluetooth function, having full-function remote control system, whose power (RMS) is 50W+25W x2. The SB-D700 is a sound system with a 6.5’ subwoofer, equipped with a touch control system and is operated by Bluetooth, USB, and a 3.5mm AUX input. 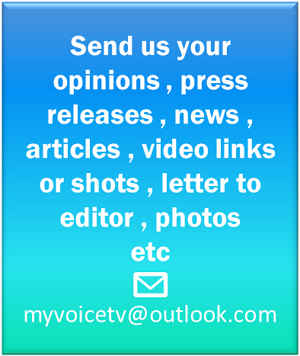 This speaker system also boasts HMRI ARC, Optical and Coaxial Input systems, whose power (RMS) is also 50W+25W x2. Price of SB-D700 & SB-D600 is Rs. 11990/- & 8,990/- respectively. EcoStar is a brand of electronics that reflects technological excellence. In Pakistan, DWP Group is the official distributor of EcoStar that ensures nationwide availability of its products, along with prompt after-sales support, through an extensive network of outlets.